Kynuna is in outback Queensland. 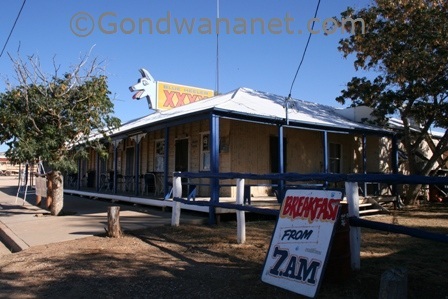 It is a tiny outback town in central Queensland that has one great outback pub. 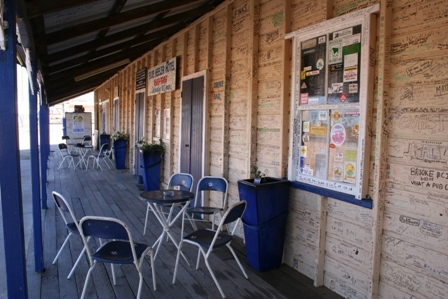 The Blue Heeler Hotel is a great place to stop for a coldie and a few great photo shots. Its walls are full of names and all sorts of old memorabilia. With other travellers, and local characters, a few beers go down really well. In the back is a cheap camping ground so you can enjoy a whole evening at the pub and stay over the night. 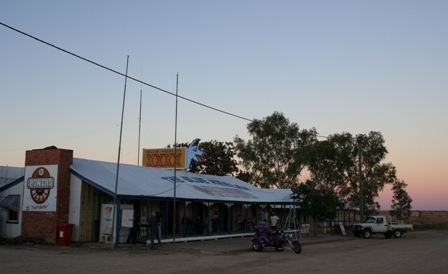 Now that Richard Magoffin has passed the town's other tourist attraction - the Matilda Expo - is no longer here. He claimed to have the real story of the origin of Waltzing Matilda and put a great show on too.